LADY KINDERSLEY (1904) The Canadian power schooner Lady Kindersley was caught in the ice and crushed off of Point Barrow August 31, 1924. The vessel was worth $420,000 with cargo. The crew was rescued by the schooner Boxer. The Lady Kindersley carried a cargo of machinery and stores for northern outposts. 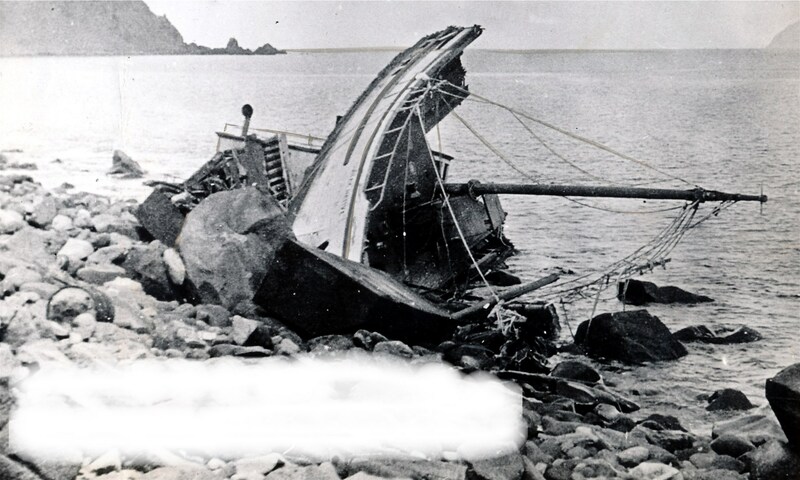 LAURA MADSEN (1905) The 345 ton 140 foot wooden schooner Laura Madsen was trapped in the ice at crushed at anchor at Point Barrow Saturday October 14, 1905. The vessel departed Wainright Inlet in August of 1905 with Captain Philip H Cook and his Wife along with eight other crewmen. The Laura Madsen is listed as having a cargo of whalebone, ivory, furs etc worth $1,000. She had “arrived at Point Barrow August 29, discharged freight as per manifest, was prevented by early ice from getting away, and after six weeks in ice was crushed, becoming wreck.” Her value at the time was $12,500 of which only $3,000 was insured. The cargo was fully insured. Captain Crawford was assisted by A J Allen and five Eskimos in the attempt to free the vessel. The Lettie, valued at $5,000 became a total loss. The report states that only $400 worth of the cargo was lost. The Louise J Kenny was valued at $10,000 and along with her cargo listed as total losses. Insurance on the vessel was $5,000 and her cargo $4,000. LYDIA MAYFLOWER (1900) The schooner Lydia Mayflower was wrecked and went to pieces on the rocks off of Cape Prince of Wales September of 1900 along with the schooner Victoria. Both shipwrecked vessels crews were picked up by the schooner Alice. There was no loss of life.